There’s no more natural time than the start of a new year to review your dealership’s past marketing strategies and plan what comes next. With all the digital channels now available to get your message out there, this can seem like a daunting task. The good news is, one of the most effective forms of marketing is also one of the simplest, most cost-effective, and easiest to execute. I’m talking, of course, about email marketing. Despite being on its last legs for years, if you believe the critics, email marketing is more powerful than ever. With a return on investment (ROI) of 38-to-1, it has the highest ROI among digital marketing channels. Perhaps more importantly, people actually want to receive email: 72% of people say they prefer companies to communicate with them via email over any other form of communication. Are you maximizing your investment in this highly valuable channel? How can a dealership cut through the noise in a customer’s inbox? How do you differentiate yourself when overall email volume is climbing every year? The answer is a three-parter: personalization, timeliness, and relevance. To cut through the noise (and the competition), you have to be able to deliver content that is compelling, useful, and suited to the individual traits and preferences of your customers. Are easy to view seamlessly across devices. Show your customers you understand who they are and what they like. Help your customers accomplish something quickly, wherever they are, so they can move on to the next thing. And, they are tailored in such a way that email is the most appropriate channel for the message, given customer preference and message content. So how do you achieve this level of personalized customer interaction? Even after you produce top-tier content, how do you get that messaging in front of the right customers? This is where Naked Lime Marketing delivers for our customers. By building a marketing database using cleansed DMS data and appended data from OEMs, POLK, USPS, and ownership updates, we provide the information you need to tailor individual messages to specific customers. Our dedicated specialists effectively recapture inactive customers and turn existing customers into actionable sales leads, while expanding your reach to thousands more. A third of the customers in your database don’t own the car you think they do. That fact alone goes a long way in demonstrating the value of operating with verified, actionable information. Combine that security with the expertise of our specialists to develop winning content and a delivery strategy, and watch targeted marketing go to work for you! 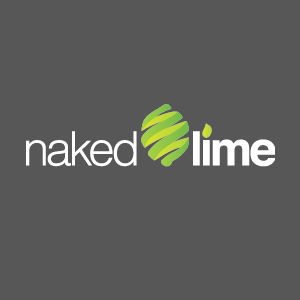 Take the first step to a profitable new year and call 855.NKD.LIME or email info@nakedlime.com.